Amalfi Décor offers artistically-designed dessert stands to add a touch of elegance to any occasion. This timeless piece features a hand-crafted steel frame decorated with an ornate fleur-de-lis pattern. Coated with a food-safe glossy champagne color paint. 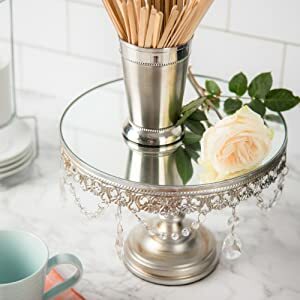 Elegant and versatile, this Victoria Collection champagne cake stand will stand out at an upscale party or work effortlessly against your everyday décor. 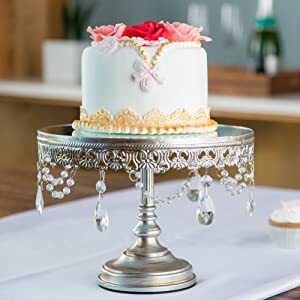 This cake stand will transform any wedding, birthday party, baby shower, anniversary, Quinceanera, afternoon tea, and any event into a full-blown celebration. This timeless piece features a hand-crafted steel frame decorated with an ornate fleur-de-lis pattern. Coated with a food-safe glossy white color paint. 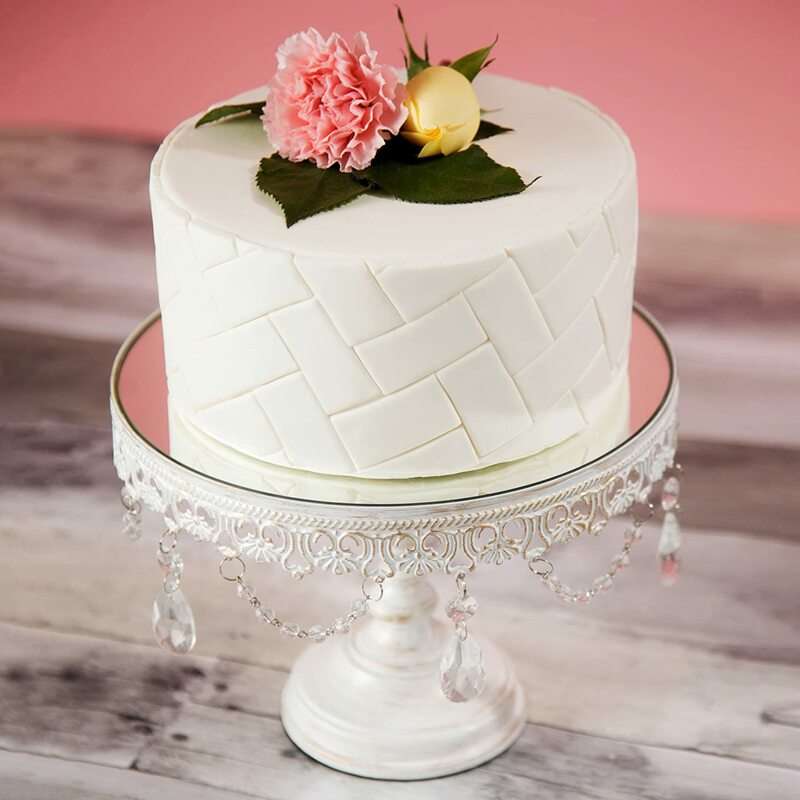 Fun and versatile, this Isabelle Collection white cake stand will stand out at any party or work effortlessly against your everyday décor. 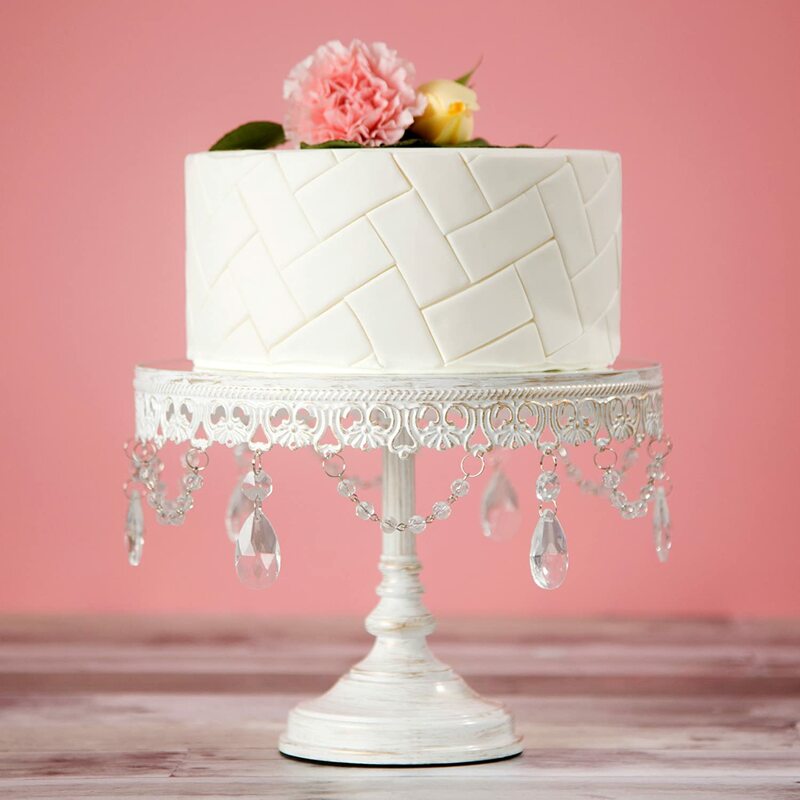 This cake stand will transform any wedding, birthday party, baby shower, anniversary, Quinceanera, afternoon tea, and any event into a full-blown celebration.